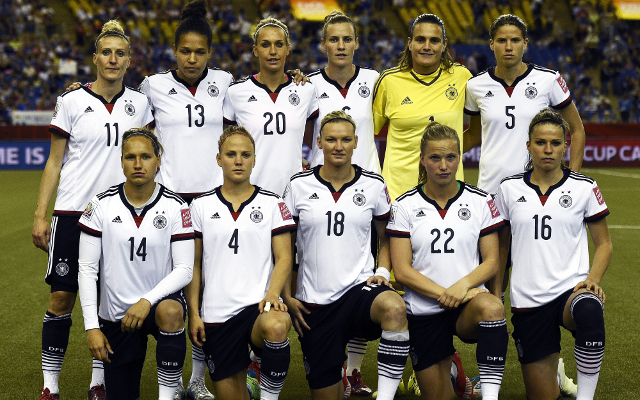 Tournament favourites Germany have progressed after a penalty shoot-out victory against France in the Women’s World Cup quarter-final on Friday night, but they were extremely fortunate. Louisa Necib’s goal just after the hour mark was cancelled out six minutes from time by a hotly disputed Celia Sasic penalty. Then in the shootout Claire Lavogez was the only one not to score as France were made to pay the ultimate price for a host of missed chances throughout the game. The French started like a house on fire and should have taken the lead inside the first minute as Elodie Thomis stormed down the right-wing and crossed for Necib, who failed to hit the target with the goal gaping. France continued to dominate the opening exchanges, but could have been 1-0 down against the run of play as Simone Laudehr’s cross was headed over the bar by Celia Sasic. Necib continued to pose a threat in attack and was denied by a decent stop by German keeper Nadine Angerer before the break as the tournament favourites struggled to cope with the pace of the French forwards. The start of the second half was a more even affair until France took the lead in the 63rd minute as Necib was the first to react to a loose ball and her shot was deflected past Angerer and into the back of the net. Germany responded well to the setback and should have equalised a few minutes later following a corner that wasn’t cleared and the ball eventually fell to Laudehr, but she poked her effort just wide. However, she and her teammates were given a controversial reprieve in the 84th minute as Amel Majri was adjudged to have handled Leonie Maier’s shot in the area and a penalty was awarded. Sasic comfortably converted the spot-kick to notch her sixth goal of the tournament and sent the game into extra-time. Extra-time was a cagey affair as both sets of players were fully aware that one mistake could have proven so costly, but Gaetane Thiney should have scored the winner in the 115th minute but she somehow missed a glorious chance to send her country into the next round. That was to be the last chance and the game was to be decided on penalties. 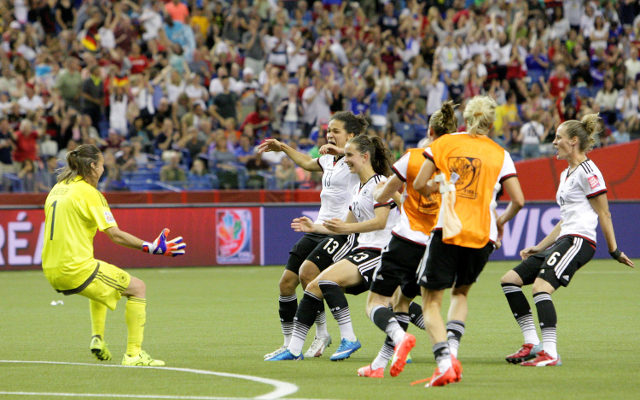 The quality of the penalties were brilliant, but after Sasic had converted her second spot-kick of the match, the pressure was placed on Lavogez, but her poor attempt was easily saved by Angerer to send Germany through to the semi-final.